Hi, my name is Natalie Buchanan, I am 26 years old, and I have EB Simplex. 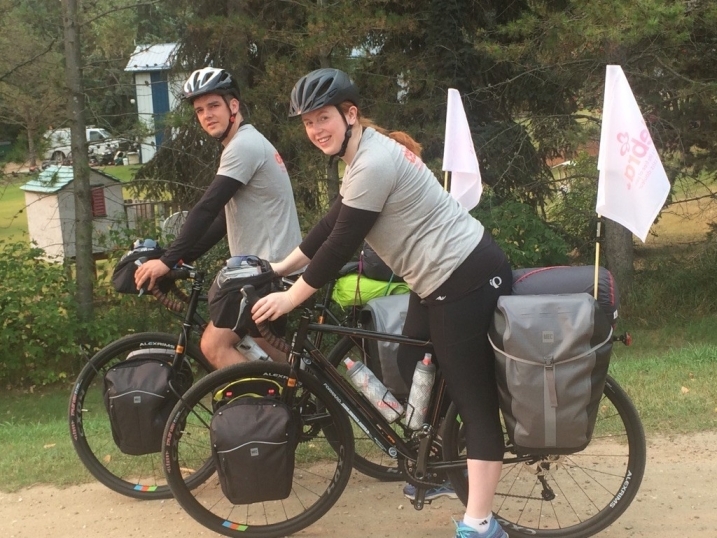 Recently I set out on a journey I never thought possible; my partner Steve Gibbs and I cycled from Alberta to Ontario raising funds and awareness for EB and DEBRA Canada. On August 30th, Steve and I left my hometown of Lacombe, AB and by the end of our adventure we had cycled 2100 KM. Why? We wanted to do our part to raise awareness and I wanted to prove that EB didn’t have the power to hold me back. For me, there will always be a physical and debilitating cost to having an active lifestyle, but ultimately, I want to prove that EB doesn't have to stop a person from living their life and going on adventures. It’s hard watching from the sidelines and I’m sure a lot of other EB patients feel the same way…I wanted to push myself and inspire others to go beyond what they think is possible and find a way to get in the action to live life to the fullest. The support we received along the way was incredible. Not only did we have our friends and family behind us, we also had complete strangers cheering us on and some even welcoming us into their homes. Through our social media channels, we had people reach out to us which was an amazing feeling and even led to me meeting another lady with EB in person for the first time. Growing up, I had never met anyone outside of my family with EB so that was a truly special experience and she even cycled with us for 53 KM! I always have considered myself fortunate to have a mild case of EB. There are so many others that have a much greater struggle than I do so that also kept me going during more difficult parts of the ride. 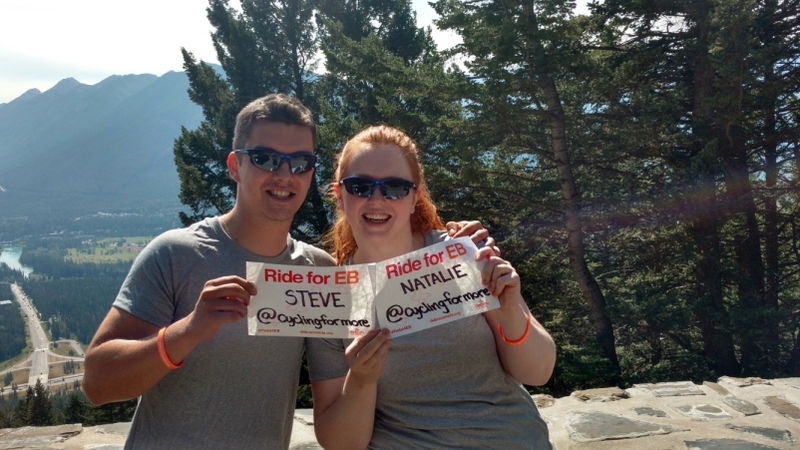 Steve and I are both so grateful that we had this opportunity and will forever be part of the EB and DEBRA Community. It was one heck of a ride and a journey we will never forget. I am Natalie Buchanan. I have EB Simplex. EB won’t stop me!